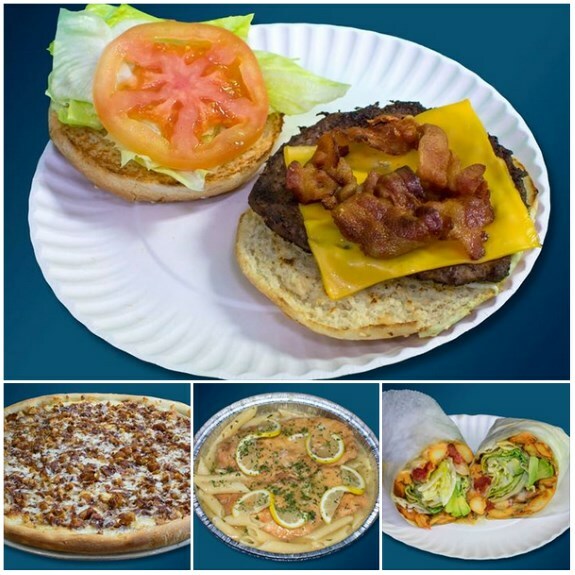 The also have other delicious and healthy salads, wraps, appetizers, burgers, wings, pasta, and chicken entrees. Their meals usually run in the $6 to $12 range. Checkout their site Farmers Pizza Menu Click Here. Burger King In St. Albans - A welcome addition to the neighborhood, an attractive and state of the art Burger King, just celebrated its grand opening last month in St. Albans, Queens, New York. It was constructed on an old vacant lot in the area for decades. It is a clean, modern, and spacious place to eat which is especially nice because there aren't many sit down restaurants in the area. This Burger King, had the classic staples associated with the franchise like flame broiled burgers, fries, shakes, and chicken sandwiches. Even If you are a vegetarian they also have you covered with more recent meals like a flame broiled veggie burger with onions. I truly enjoyed the veggie burger and smoothie. Most of the staff at the Burger King are very friendly. 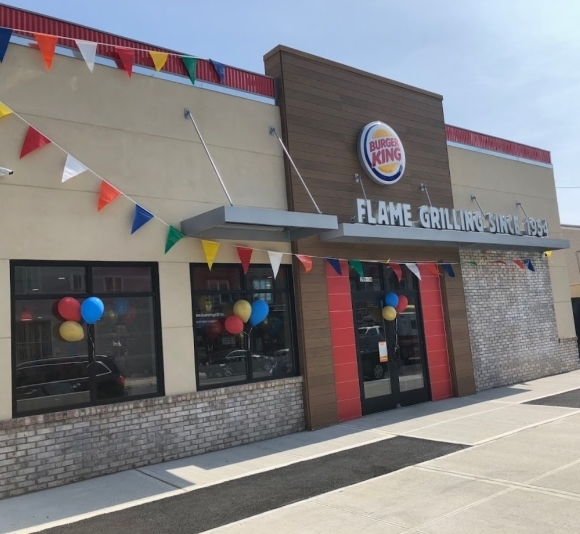 This Burger King is a nice addition to the eateries in St. Albans and Southeast Queens. Vibe Restaurant - This is a trendy attractive soul food spot on Liberty Avenue. We hope it becomes as well known as some of the Uptown and Brooklyn soul food restaurants. It is the closest thing to the highly respected soul food restaurants in Harlem. The Door - The Door is a true fine dining Caribbean establishment. The food is Jamaican and West Indian artisan dishes. The food is presented very well and the service is good. The wait on busy nights may be a little long. The atmosphere is really nice. I want to say the door is the best Caribbean restaurant in Southeast Queens. If fact I think it is one of the best restaurants in Queens in terms of savory delicious food. Smoke BBQ Pit - This restaurant has a combination of modern jumbo screens but still owns a down home BBQ feel to it too. The food is tasty southern food and the atmosphere is relaxed. Southern Girls Soul Food Restaurant - is a medium sized soul food sit down or catering restaurant with delicious food and outstanding service. Their server Nissa is extremely gracious and a definite 20%+ tip servicer. She's outstanding and one of the best waitresses we've ever seen in Queens. They can fry chicken that is also juicy and very tasty. The BBQ chicken is the best I've tasted in a soul food restaurant. Their Corn, Okra, and Tomato gumbo dish is also very tasty although on the sweet side as are the candied yams. They have an attractive restaurant and catering hall that you can bring family members and business clients. Smokehouse - The Smokehouse makes excellent food. It is very popular so the line is a bit long at times. I find their Caribbean food is better but they also try to do soul food. The fried chicken could be better. Vital Health Foods (Juice Bar) - This is our wild card on soul food. It offers vegetarian spin offs on cultural dishes that are staples in the Caribbean, soul food, and classic American foods styles. Their address is: 196-14 Linden Blvd, Jamaica, NY 11412. Their phone number is: (718) 525-0992. Thomasina's Catering Hall (for Sunday Brunch) - this is an attractive catering hall that does great Sunday brunches. The Sunday brunch foods usually features soul food staples like fried fish and chicken, yams, collard greens, and salad. This establishment usually showcases live entertainment and they have nice desserts as well during Sunday Brunches. The address is: 205-35 Linden Blvd, Jamaica, NY 11412. You can reach Thomasina's website for more info if you just click here. Also to read a full review on Thomasina's Catering Hall's Sunday brunches click here. Siblings Best - A nice new place for comfy soul food is Siblings Best Restaurant, at 187-30 Linden Blvd, St. Albans, NY 11412. It is a nice quaint restaurant that sells soul food. It does breakfast foods all day. I enjoyed their waffles and turkey bacon. I've eaten there a couple of times and the food is good and service is very good. The owners are amiable. While there are nice soul food spots in Southeast Queens many don't have comfortable seating. However Siblings Best is cozy and not usually crowded for seating yet. Siblings Best has the appearance of a small diner on the inside. The owners are very friendly and accommodating. You can watch the news or sports on TV with their two large flat screens. Burgundy Cafe - Is a small quaint soul food place with tasty soul food on Hillside Avenue near Parsons Blvd. It is small but we suspect they do a good delivery business because the food is very satisfying. The fried chicken and mac and cheese are enjoyable at this eatery with limited seating. If you are around Jamaica Avenue, and want to get some good soul food, after shopping or cultural events, you have to checkout this compact soulfood enclave. It does have a few seats. The food is good. Maxine's Takeout - This is a very good soul food spot. And probably it's the go to takeout place for soul food in the St. Albans, Queens area. It has a few places to sit but is primarily a takeout place. We don't think they deliver even with Uber Eats yet. You can call to find out. They have a good deal with their 4 piece chicken dinners with two sides. Also their chicken wings dishes are superb. This is a great place to order. Their address is: 113-33 Farmers Blvd, St. Albans, NY 11412. Call (718) 465-9812. Seamorhen Fish & Chips - this is a hidden gem to eat soul food cuisine on the border of St. Albans and Hollis Queens. It looks like a small no frills takeout restaurant but the food delivers big time. The service is also very friendly and courteous in this fish and chips haven. We were happily surprised at the quality of the food. The Turkey Wings are also amazing at Seamorhen. You definitely want to visit them for takeout, in the area, or stop in for a quick meal with one or two people. Sea Level Sea & Soul - is very good and promising is . It is a well lite seafood eatery with good customer service and fresh seafood. It is owned by Ms. Aamira Moore, a gracious and experienced restaurateur. This new seafood place has very good reviews on Google. I have enjoyed ordering at the seafood place on two occasions. I had the fried chicken and the fried whiting and both were cooked very well and were tasty. The eatery's side dishes of collard greens and yams (two of my favorite sides) were delicious. Sea Level Sea & Soul is located at 114-32 Farmers Blvd, Queens, NY 11412. Their phone number is (347) 263-8300. Reggae Taste - located at 129-26 Merrick Blvd, Jamaica, NY 11434. I looked in and loved the ambience of the Jamaica, WI, themed restaurant. It was well lite, airy, and clean. I was pleasantly surprised and went in to take a look at the food. Wow it really was appetizing! I wasn't really hungry but the food got me really looking forward to a meal.